One of the most highly acclaimed musically-infused movies to come out this year, Once is the story of a Dublin busker who works part-time in a vacuum repair shop instead of living out his musical calling (Glen Hansard of the Irish band The Frames and The Swell Season), and the musical connection that he forms over the course of a week with a fellow struggling artist, a not-yet-twenty year old street vendor from the Czech Republic who happens to play the piano (Marketa Irglova, the other half of Swell Season). You’ve probably seen the lush and lovely soundtrack that they made popping up on year-end Best of 2007 lists all over the place, and with good reason. This particular cover is a bonus track on some special editions of the soundtrack, and it is jaw-droppingly good. Although it starts winsome and delicate, it builds into moments of heartfelt intensity. The song always ends too soon, so I have to back up and listen to it over again. The DVD came out this week in the U.S., which is something that my Netflix queue is thrilled about. In unrelated news, this kinda restored some of my faith in humanity this morning as I read the paper over my cup of coffee. Religious or not, I thought it was an inspiring story of giving this time of year, and what we are capable of. Tagged with covers, films, glen hansard, soundtracks, van morrison. That’s such a beautiful song and their version is fantastic. I also really dug their cover of You Ain’t Going Nowhere on the I’m Not There soundtrack. That article was amazing, it just goes to show that if the church spent less time being ‘a church’ and spent more time being ‘the Church’. Great article though, I come to your blog purposefully for the music and learning to discover some great stuff i’ve never heard of, but i love it when you have extra stuff that i enjoy. No offense meant, but this cover makes me pine for something new. Where is our next Kurt Cobain? Or GNR before them, the Smiths, Van Halen before them? As audiophiles, we desperatly need a new form of music to embrace. So much of what has been created in the past 10 years is so, so dull and unimaginative. Where is the band that trashes our current understanding of good music? It sure isn’t on KBCO. Please God, for Christmas all I want is something new, something so creative and so ground breaking. 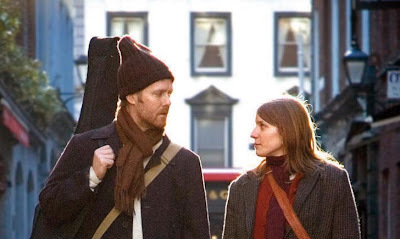 This is a fantastic movie for its honesty,towering belief in music and in its capturing of a very real confused human connection. Loved it! Just like the song you like once you have seen it,you want to see it again;its so beguiling and unexpected in its nature. Your netfix crew are onto something. It’s funny, I just read that article last night, then watched Once today, then came up here and opened up your blog. My church did a smaller version of that a year ago – they gave $100 bucks out to a few people. I wish I could remember exactly what they did, but I remember similar stories. I loved Once. Thanks for the cover. I love this tune. Wow. They did this at their show in Denver not too far back. Were you there or did you miss it? It changed me. I think it elevated what I expect out of a live music experience from here on out … so, so good. where did you find this song? what album is it on? debra, there’s a link in the original post to “some special editions of the soundtrack” and that’s where it’s from. I loved the movie…it’s best movie for me this year. I was never really expecting much of it when I bought the DVD but the film was just so real to me. Thanks so much this! I adored the original Once soundtrack (it was on my year end list), but I hadn’t heard about this cover before. It happens to be my favourite Van Morrison song, so it’s a very nice surprise.